Headspace is an English-American online healthcare company, specializing in meditation. It was incorporated in May 2010 in London, England by the writer, public speaker and health advocate Andy Puddicombe and entrepreneur Richard Pierson. It is headquartered in Santa Monica, California with offices in San Francisco and London. The company mainly operates through its online platform, which provides sessions of guided meditation to its registered users with the goal of mindfulness. The overall content is offered through a freemium subscription service model, in which users will thereafter access the company's entire library of content. I was involved in the development of the first true version of the Headspace website, how you would think of it if you looked at it now. The site as a whole is a simple one the largest part aside from the database was the "My Headspace" page. This page is where a user would see the individual series and the days within them. It was built in such a way as to automatically generate additional content when added to the CMS. So adding new series and days was easy. You could display videos before or after a given day. Much of the groundwork was using a pre-existing system so Pages, News and high-level product and Worldpay integration already existed. We also had an existing system that provided referrer tracking and personalisation. The Headspace site had a number of unique developments, however. First off Headspace wanted to provide monthly payments. This required adding to the existing Worldpay payment system we had the use of Futurepay. This got the job done but I would never use this again if I developed a system similar to Headspace. Much of the product and contact management system already existed within our system. We had to build numerous database tables to handle the different subscription lengths. Each individual would have access to one or more subscriptions (products). When you purchased a subscription this gave you access to several Days (also a product) for a length of time. Each month as the payment was taken a call back to the website would cause an additional month to be added. When that length of time expired you couldn't access the day anymore. On top of this, we needed to record the status of each individual contact and their progress through each day. Because the Days you viewed were products it was pretty trivial to add additional series of Days. You could also set up entire series specific to an individual company or referrer. All this information could be managed via numerous new CMS pages. From a business perspective Headspace needed to answer key questions about their users. This resulted in a number of CMS pages for surfacing the users' information. One page was a simple bullet point list of answers for their key questions. Another was much more complex, allowing all fields of all users and aggregated data to filtered, and sorted. Despite a large amount of traffic and hosting all the media ourselves we only needed three servers (2 public facing 1 database). Despite large burst loads from television shows and the like, this setup handled it no problem. The result of all this technical work, a new design and complete website build was some pretty impressive results. To win a BIMA award is a prestigious honour and earmarks your organisation as one of an elite few moving the game on and the digital economy forward. 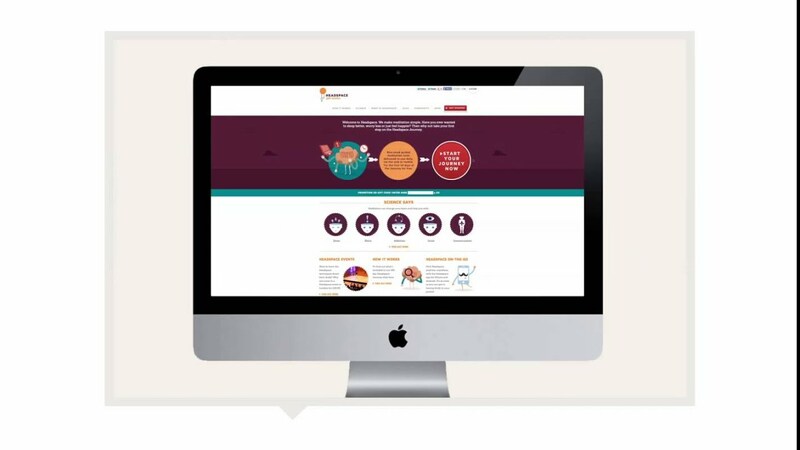 The Headspace site was the winner of the 2012 BIMA Awards in the Leisure and Culture category. This was the Olympic year and the website was up against the BBC Sports website relaunch. So an extremely tough website to be up against. To support the mobile applications developed by WIP we built a new web service. This web service surfaced the functionality mentioned above. The images and documents in our old system allowed for automatic image resizing and all assets were stored in a database making assets available across all servers. So providing URLs to these and information about the individual users from the new database tables wasn't a problem. The biggest problem we had was that the video streams wouldn't work on iPhone. This took a bit of investigating at the time, we discovered that this system didn't work on Apple products because Apple ignores the RFC regarding asset downloads. The server specifically tells Apple products that multi-part downloads are not allowed. So Apple ignores this and requests multi-part downloads anyway. Now for performance reasons on mobile you want to use multi-part downloads anyway, to improve download speed and recovery on broken connections. But it's still pretty bad of Apple to be so poor at following the regs.